Kirk Hendry from HUSH has directed the ‘Dancing on Ice’ promo for ITV for the second year running. However, for this project HUSH has partnered up with FABLEfx to create the vibrant animals. 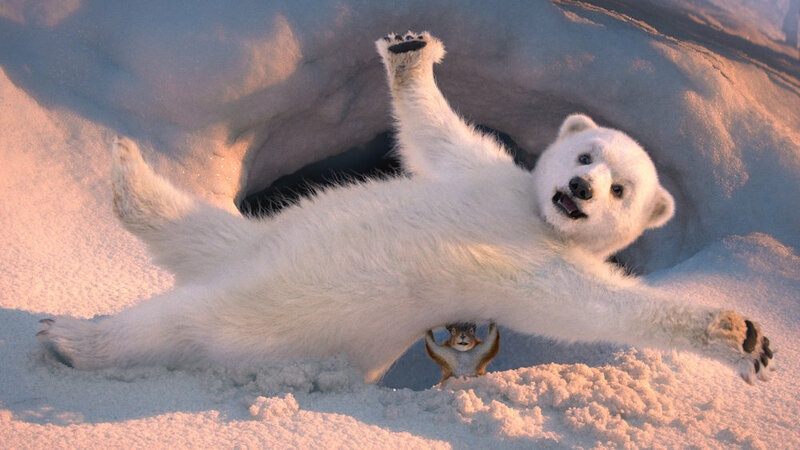 Hendry once again entertains us with dancing polar bears, but this time focusing on an adorable cub, who now shares the stage with his squirrel companion, making it even more humorous and touching than before. The humour comes from the animals playing homage to the show, reminding the audience of the comic value of watching inexperienced dancers stepping on to the ice for the first time, and the thrill of seeing them succeed later in the competition. HUSH recruited FABLEfx this year to create the animals. After the team at FABLEfx saw the preliminary storyboard from HUSH, they saw the potential to do something amazing and were more than eager to take on the challenge to top last years. FABLEfx started developing the characters and environment early on. Unsure at first whether they would use a lot of digital matte paintings for the backgrounds, they soon decided due to how advanced and outstanding this promo was going to be that they would have to take on the task of doing the whole environment in 3D, making the promo extremely authentic. Their talented CGI work perfectly captures the beauty of the two animals with the naturalistic and sublime quality of their surroundings, that Hendry envisioned in this 60-second promo. The story at first appears to be quite serene, as we are introduced to a polar bear cub leaving her parents in their slumber to go and explore, this soon turns on its head when the clumsy bear begins to stumble and fall onto the frozen lake, knocking over the squirrel in the process. Appearing like a recipe for disaster, this scene soon turns into a hilarious and beautiful dance between the two animals as they avoid the obstacles around them. The huge contrast in size of the polar bear and squirrel does not pose as a challenge for them, as they perform an elegant but amusing figure skating routine, full of jumps and pirouettes. This years promo is a beautifully rendered piece of animation by director Kirk Hendry, which utilises the animal magic of FABLEfx for the first time in the UK. We are sure this ad will appeal to everyone, as no one can resist a cute animal.